This article was last updated on the May 2nd, 2018. 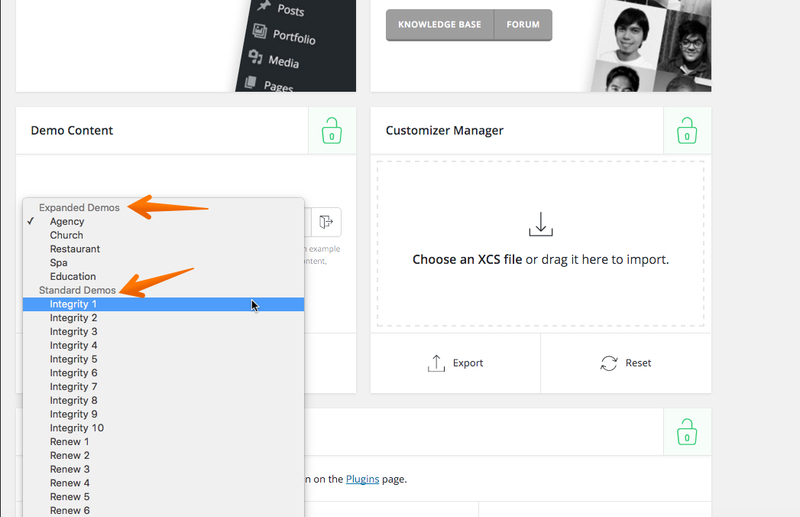 Demo content is managed via the X > Validation section in the WordPress admin area of the theme. 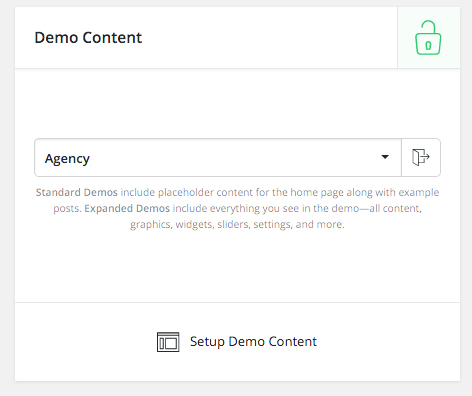 The Standard demo content importer is based on our original demos and allows users to set up their site similar to the specified source. This importer will set up the structural layout from the homepage of the demo selected with placeholder content, and will also update your theme Options as mentioned above. Additionally, you can choose to import example posts or portfolio items to see how various features can be utilized. If you select to import posts, a blog will be set up for you, and importing portfolio items will similarly set up a portfolio page for you. The importer also intelligently discerns which items you do and do not have present, so nothing will be mindlessly duplicated or repeated if you go through many demos, keeping your content as clean as possible. An example menu will also be set up for you depending on the options you have selected, making things easy to get to and check out. The importer is not destructive, meaning it will never touch any existing content you may have in your installation. The Expanded demo content importer takes things quite a bit further, and is intended to provide you with a fully functioning, designed site with the click of a mouse! Importing an Expanded demo will not only set up your homepage and Theme Options for you, but it will also import all images used in the demo itself, all pages, posts, widget areas, menus, et cetera. Essentially, you will receive a completely finished site design, creatives and all with the click of a mouse! All this content is licensed to be freely distributed and can be used in your final designs, or you can choose to swap out content as you see fit. The setup for our Expanded demos is something that has never been done before in the industry, as it will literally copy every aspect of a completely realized design into your installation for use as you see fit! 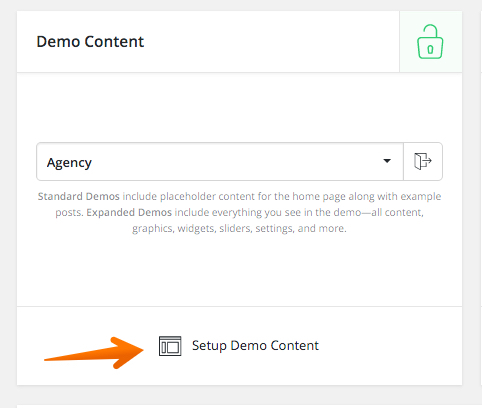 Once you have selected either the Standard or Expanded demo that you want to use, click the Setup Demo Content button at the bottom of the form on the page. Go ahead and click on Yes, Proceed. Clicking this button will reveal an overlay with some messaging to give you a sense of the progress in your installation. Once everything is complete, you will see a confirmation message in the overlay before it disappears. The messaging between these two installers will differ slightly since the demo content they’re setting up differs from one another. If your server happens to timeout while one of these actions is taking place, the installers will attempt to keep pinging your server a few more times to get everything to work. If you do end up with an error, it could be due to a server configuration setting with your hosting provider, and you can speak with them to see if they can assist you in what the problem in your environment might be. It is important to keep in mind that just the way the homepages look is not all that is different between these two demo setups. While Standard demo content simply provides you with a homepage set up with placeholder content and images, Expanded demos will provide you with the exact images utilized in the demo as well as all of the additional content (blog posts and portfolio items with images if available, additional pages, any Revolution Sliders that may be present, et cetera). Expanded demos literally give you an entire site setup with the click of a mouse with all images and content intact. Nothing quite like this has ever been done in the WordPress space! Remember that the demo content is a great way for you to learn more about the theme and the various features it offers, but it is by no means the extent of what is possible with X. Take some time to play around with various features and learn all that you can accomplish with the theme as that is an important part of the process! 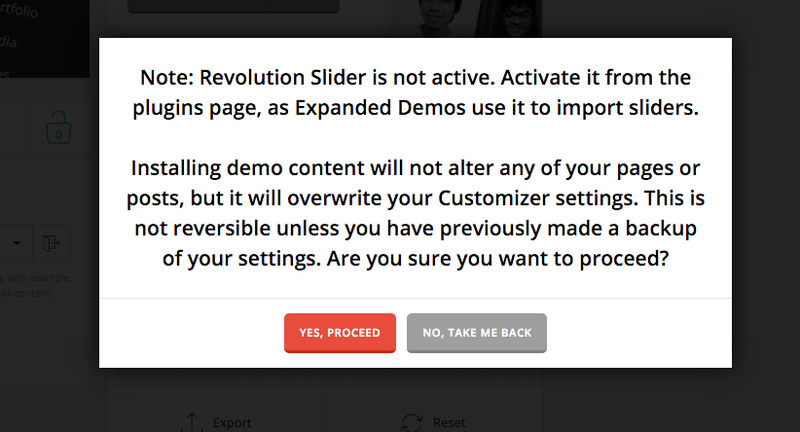 Sliders must be set up separately from the demo content as they are part of the Revolution Slider plugin. 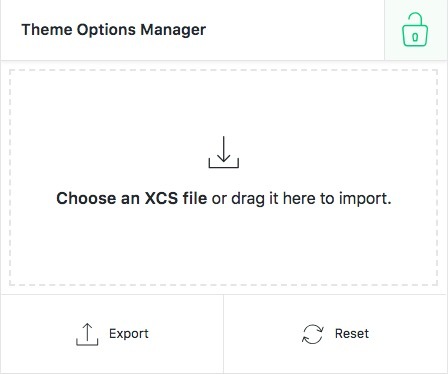 For information on how to set up various types of sliders to use with the theme, be sure to check out article and this articles in the Knowledge Base that covers this. 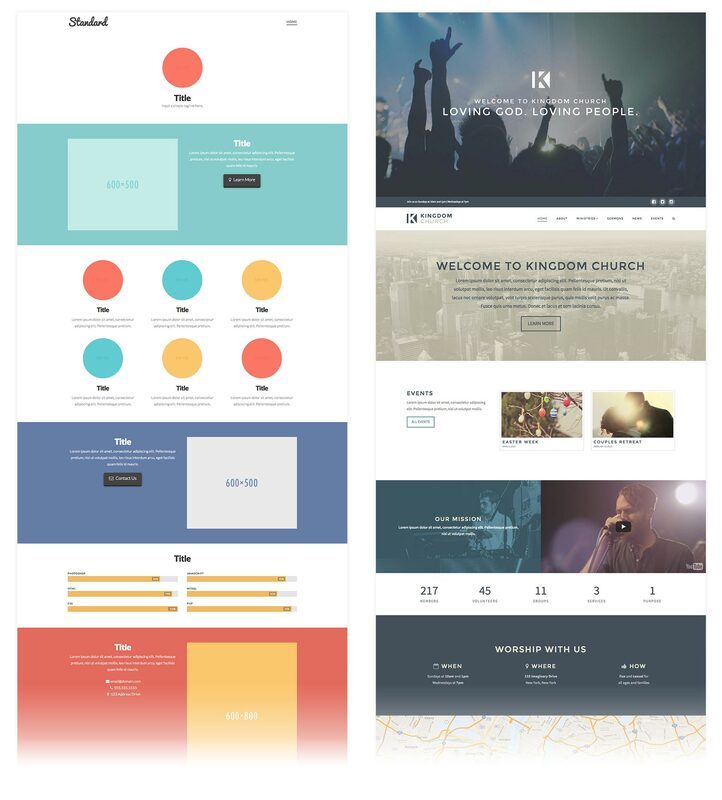 It should be noted that standard demo content may not look exactly like our demo websites for numerous reasons. One of the biggest reasons for this is the fact that much of our content is either created by us directly or licensed specifically to us, so it is not available for redistribution (i.e. images, videos, et cetera). That being said, there are many great websites available such as PhotoDune or GraphicRiver where you can readily purchase premium content for use in your own sites. The standard demo content is meant to be used as a way to quickly set up the framework or structure of your site, making it quick and easy for you to swap out images and text with your own material. Full demo content is provided for each of our demos, however, content is not included for our sales page as this is not considered one of our demos and is used specifically for our business purposes. If you are interested in recreating the look of this page we recommend starting out with the demo content for Integrity 1 as it will get you a majority of the way there. One potential issue you may run into when using the importer is a message reading "We're sorry, the demo failed to finish importing." There are a few possibilities for this error, but the most common one is that the AJAX requests used to run the importer are reaching the WordPress memory limit. It is possible this might come up for certain hosting environments, or if you're running WordPress v4.3 as there is a memory leak in the admin that will not be patched until v4.3.1. If this is the case, you can try increasing your memory limit by following the instructions in the WordPress Codex. In doing this, you may run into duplicate items if you didn't delete them previously. If you feel you have run into a different problem with the demo content import process (either Standard or Expanded), please open a new thread in the support forum providing detailed information on the nature of the issue you're experiencing and one of our staff will be more than happy to help look into anything for you. Most of the time, issues are caused by simple connectivity issues or restrictive settings in a hosting environment. Where can I find integrity 03 demo? Where is the X Addons Homepage (missing)? How to apply a Demo or Extended Demo from a Stack to a site? 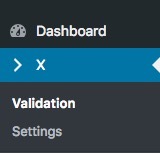 How To Set Up X Auto? How to erase all work and start over? Demo content - where are the demo pages? Integrity Demo content, where is the pictures like the demo? Difficulty guiding , help me! Gym demo "Failed to Finish Importing"
I can't download the extended demo content. What should I do? No Demo content in Pro? Ethos 2 Demo images are missing when uploaded as the basis for my new site? New user: Where to begin from?